We play tug of war in our hearts when we seek to balance all the jingle and joy of Christmas. Jingle bells! Joy to the world! Standing three foot tall, filled with anticipation, right beside my Daddy, I was one happy little girl. We were off to find a Christmas tree at the corner lot. Daddy and I go way back! For as long as I can remember I’ve been a Daddy’s girl and I’ve loved Christmas trees just as long. This was going to be a great day! My mind fails on all the details of that day at the tree lot, but I imagine we cased the place in search of the perfect tree. One just the right size, with a strong, straight trunk, and lively needles. The salesman pulling out each tree I pointed to, placing it upright, letting Daddy and me peer at its beauty until we were satisfied and said, “yes, that’s the one!”. I assume others and their families were doing the same. Those details are fuzzy, but I clearly remember being right beside my Daddy seeking the perfect tree to take home for Christmas. Imagine my surprise when I looked up, clinging to my Daddy’s britches leg, only to see it wasn’t my daddy’s face attached to the leg I was holding onto tightly. Somewhere in the process I was fooled by someone that looked very much like my daddy. I grasped onto him, because that was where I wanted to be…right beside my Father, preparing for Christmas. Only, in the jingle of things, I was lost. Isn’t that how Christmas can be sometimes? We set out with our hearts focused on our Father preparing for the Christmas season. Our intention is to celebrate and honor His Son, our Savior, only to find ourselves lost.We are grateful for a gift freely given. The birth of Jesus warrants a time of reflection and celebration. 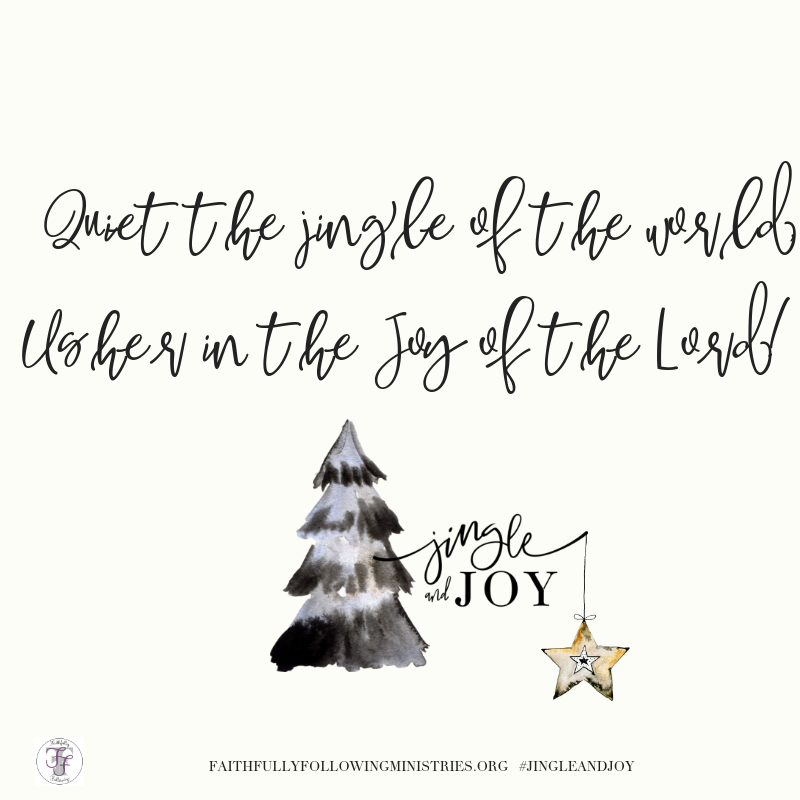 But somewhere, somehow “the jingle” takes our joy, our focus gets shifted from Jesus to the world, and we become lost. Suddenly, we look up, expecting to see the smile of our Daddy, only to find we are not even close to Him. We get wrapped up in ribbon, tangled up in lights, distracted by traditions that were meant to help us keep Christ the center of Christmas, only to find the world has won our affection and attention. Furthermore, many of us will lose the joy of the season as we let the hoopla drain us physically, financially, and yes, spiritually. Join us on a journey. Each day we will walk through scripture and pray. We will keep some traditions, like putting up Christmas trees, but maybe, just maybe, a little slower, a little more intentional, and a little less distracted. Quiet the jingle and usher in the joy. 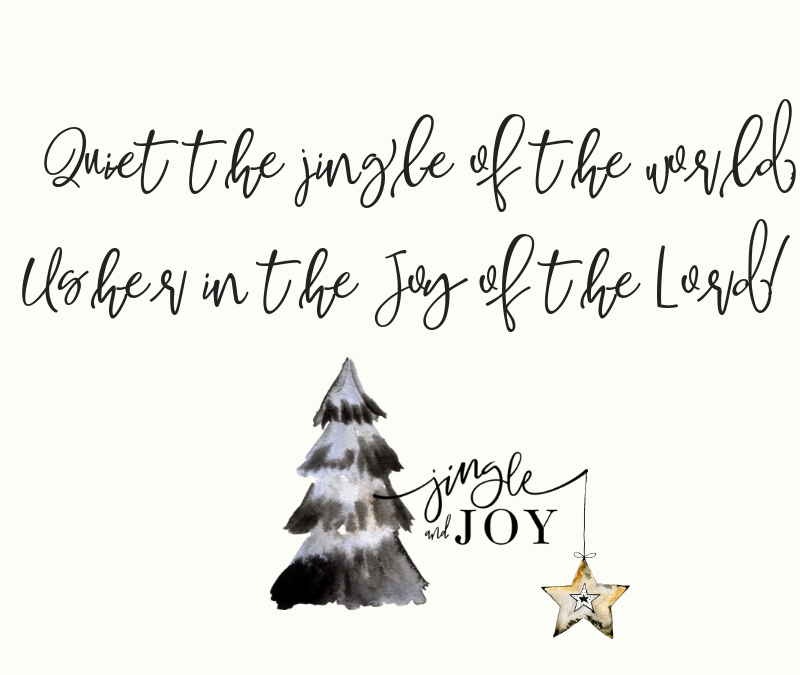 We can have a little jingle and a whole lotta joy as we keep Christ the center of Christmas. Daily prayer prompts that lead you to pray for all people. Community prayer! Join others as we pray together. Daily scripture prompts and discussion. Weekly devotions and videos beneath the tree. 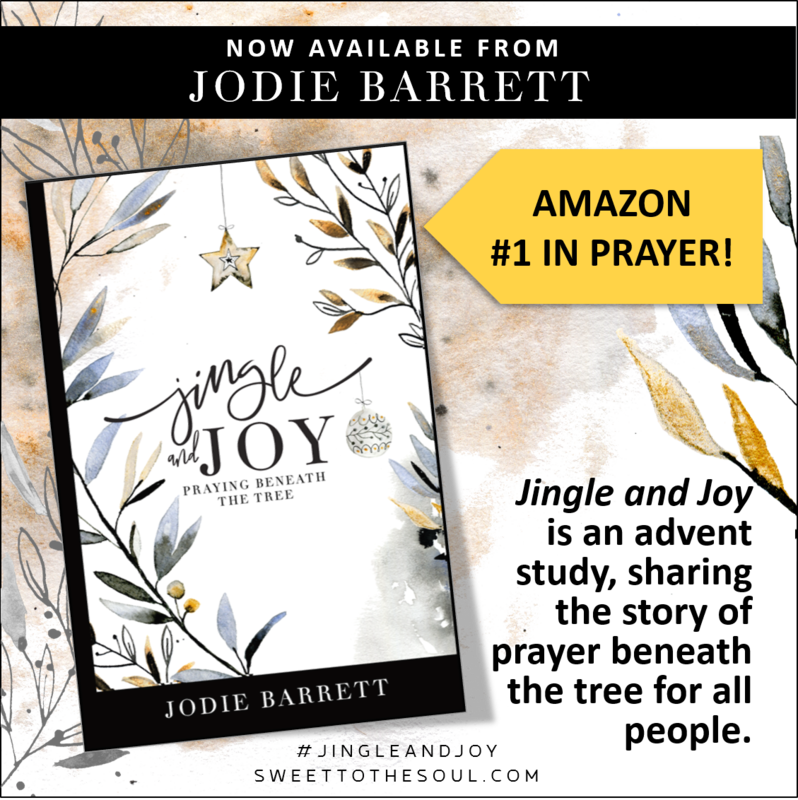 Email your receipt for your book purchase to jingleandjoy04@gmail.com to receive a free prayer printable that you can frame and place in your home and a five-day download of Jingle and Joy! Let every heart prepare Him room ~ A Christmas gathering with purpose.